Situated in the beautiful city of Pokhara, PN Campus is the leading teaching and research campus in the western region of Nepal. With over 50 years of its history, the campus is one of the oldest and largest campuses of Tribhuvan University and is dedicated to finding solutions to challenges and preparing students for leadership in a complex world. Founded on 1 September 1960 (17 Bhadra 2017 BS) in the western region, PN Campus was initially named Prithvi Narayan Inter College that was started with 13 students and 2 teachers for post-secondary education and was run by the local community. In the beginning, the classes were conducted in Kanya School, Nadipur Patan and moved to Bhimkali Patan in Bagar where it now exists. George John was the first Principal, and Narayan Bahadur Karki and Arjun Bikram Rana were the first administrative staff of the college. On 20 August 1963 (4 Bhadra 2020 BS), the college resumed its first batch with the Bachelor of Arts (BA) study, which received its accreditation from Tribhuvan University. In the same year, under the Peace Corps Volunteering Projects, Douglas K. Wingham, Peter Farco and Dorothy Mierow started working as volunteers to teach English and other courses in the college. With the introduction of New Education System Plan (NESP) on 1 Shrawan 2030 BS, the college was formally incorporated with Tribhuvan University as one of its constituent campuses, changing its title from ‘college to ‘campus’. In Shrawan 2033 BS, the Dean’s office of Faculty of Humanities & Social Sciences under Tribhuvan University was moved to Pokhara within the premises of the campus from Kathmandu, which remained in Pokhara until 2040 BS. In 2035 BS, the Master of Arts (MA) in Economics under the Faculty of Humanities & Social Sciences was introduced for the first time in Pokhara. It was followed by the MA in Geography the following year in 2036 BS. Now, the campus has 29 departments under 4 faculties and 1 institute: Faculty of Humanities & Social Sciences, Faculty of Management and Faculty of Law, Faculty of Education, and Institute of Science & Technology. In total, 34 programmes are run and about 500 courses are on offer under these broad areas of study. To date, 642 faculty members and 122 administrative staff have involved in providing higher education to more than 11,000 students in various academic programmes in the campus. The campus is a state-run higher education institution under Tribhuvan University and has been the major centre for higher education in the western region. The campus is now spread over 36 hectors (over 721 ropanis) along on the banks of the Seti Gandaki River. As per the concept of multi-university put forward by the National Education Commission (NEC) in 1992, the Higher Education Project (a World Bank Project) in 1993 proposed to develop regional clusters: one in the western region and another in the eastern region, which would emerge as universities in future. PN Campus was selected in the western region as a lead campus of the cluster. 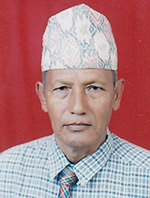 In accordance with the Decentralization Act of Tribhuvan University (1998) under this concept, the campus elected a management committee in September 1999 to handle the tasks such as the construction of physical infra-structure, formulating rules and regulations, working plan and economic policies and an executive committee under the management committee to look after the day to day affairs of the campus. In 2006, the UNDP Global Environment Facility funded a project to develop its open space as Green Space Park. The project’s main objective was to provide students with a space for learning about environmental conservation and using open space for leisurely and recreational purposes in order to fulfill the needs of the growing urban population in Pokhara. In more than 50 years, the campus has become one of the country’s leading campuses in the region, carving out a reputation as an academic powerhouse. It has a clear focus on excellence that has secured local and national recognition alongside longer established institutions in the country. On 17 Bhadra 2017 BS, Prithvi Narayan Inter College was resumed at Ratnarajya Laxmi Kanya School, Nadipur Patan for the evening classes with 13 students and 2 teachers (one of the 2 teachers was George John as Principal of the college). On 30 Ashwin 2017 BS, the college was formally inaugurated by the then Home Minister Surya Prasad Upadhyay. In Falgun 2017 BS, Bhimkali Patan in Bagar was chosen as the location for the college. On 17 Falgun 2018 BS, the then Badahakim (Local Administrator) Dan Bahadur Shakya laid the foundation stone for delicately built hut that was to be constructed with local materials in Bhimkali Patan. In 2018 BS, for the first time, there were 16 students for Intermediate of Arts (I.A) Leel classes. On 3 Baisakh 2019 BS, the college was moved to Bhimkali Patan from Nadipur Patan and classes were transferred from evening to morning shift. On 24 Magh 2019 BS, the then King Mahendra Shah delivered his speech to the resident of Pokhara from the stage constructed in the college. On the same day, with the order of the then King Maherndra Shah, Bishwo Bandhu Thapa laid the foundation stone for the solidly built college building. In 2020 BS, the Bachelor of Arts (BA) class was introduced in the campus for the first time. On 15 Chaitra 2021 BS, the then King Mahendra inaugurated the Arts Building. On 28 Bhadra 2022 BS, the then Chairman of the Rastriya Panchayat Rajeshwor Devkota laid the foundation stone for the Science Building. On 27 Paush 2023 BS, the then Assistant Education Minister Gyanendra Bahadur Karki inaugurated the museum within the college premise. On 29 Jestha 2024 BS, the Intermediate of Science (I.Sc) Level class introduced in Pokhara for the first time. On 29 Shrawan 2024 BS, the then Anchaladhish (Zonal Officer) Nanda Bahadur Malla inaugurated the Tulasi Banbatika (Tulasi Garden) within the college premises. On 24 Magh 2025 BS, the then King Mahendra Shah inaugurated the Science Building. In Bhadra 2026 BS, the Intermediate of Commerce (I.Com) Level class introduced in Pokhara for the first time. In 2029 BS, on his visit to the western region, the then King Birendra Shah observed the rally marched on the Annapurna Stadium within the campus premise. On 1 Shrawan 2031 BS, the name of the campus changed formally from “Prithvi Narayan Inter College” to “Prithvi Narayan Campus”. From 25 Ashad 2033 to 32 Ashad 2033 BS, the Curriculum Development Centre of Tribhuvan University organized the “Nepal Parichaya National Conference” in the campus. On 18 Baisakh 2033 BS, Tribhuvan University observed the Regional Convocation Ceremony in Pokhara for the first time. In 2034 BS, the then King Birendra Shah was felicitated by the civilians of Pokhara in the Annapurna Stadium. In 2034 BS, the Economic Development and Administration Research Centre of Tribhuvan University organized a national conference entitled “National Economic System: A Survey” in the conference hall of the campus. The conference was observed by the then King Birendra Shah. In 2035 BS, the Master of Arts (MA) in Economics was introduced in Pokhara for the first time. In 2036 BS, the Master of Arts (MA) in Geography was introduced in Pokhara for the first time. On 7 Baisakh 2039 BS, the then Vice-Chancellor Ramchandra Singh laid the foundation stone for the Western Regional Library Building. In Chaitra 2039 BS, the then Rector Chandra Prasad Gorkhali inaugurated the National Population Conference in the PN Campus Conference Hall. On 12 Falgun 2040 BS, the then Gandaki Zonal Officer Khadka Bahadur GC inaugurated the Hostel Building. On 12-20 Chaitra 2040 BS, the national sports held within the campus premises. In Magh 2041 BS, King Birendra Shah observed the Western Regional Library. On 17 Bhadra 2042 BS, the Silver Jubilee Ceremony of the campus held in the campus. In 2042 BS, the class for the 1-Year B.Ed was resumed. On 13 Mangsir 2044 BS, the then student leaders like Tul Bahadur Gurung, Ram Nath Dhakal, and Vijay Gurung were captured by Mandales (Youth Supporters of Panchayat System) from the campus and handed over to the Anchaladhish (zonal officer) of Kaski District. In 2045 BS, the Annapurna Conservation Area Project established and launched the Visitors’ Information Centre in the Annapurna Natural Hitory Museum, within the premise of the campus. On 3 Magh 2046 BS, 3 university teachers Bhupati Dhakal, Gehendreshwor Koirala and Dharma Nath Shah of PN Campus were terminated from their jobs by the then government, charging their involvement against the Panchayat System. On 4 Falgun 2046 BS, there was the mass arrest of students from the campus premises by the then government, including the then President of Free Student’s Union Jhalak Subedi, Baburam Pant, Rabindra Adhikari and 52 others. In 2047 BS, the class for the Master of Arts (MA) in Nepali was introduced in Pokhara for the first time. In 2047 BS, the class for the Master of Business Studies (MBS) was introduced in Pokhara for the first time. In 2049, the class for the Master of Arts (MA) in English was introduced in Pokhara for the first time. In 2049, the class for the Master of Science (MSc) in Mathematics was resumed in Pokhara for the first time. On 28-29 2050 BS, the International Conference of the International Geographic Union (IGU) was held under the Chairmanship of Prof. Dr. Madhav Prasad Tripathi. In 2048/49 BS, the construction of the A-Block of the Degree Building completed and classes resumed. In 2050 BS, the class for the Master of Arts (MA) in Political Science was resumed for the first time. In 2050 BS, the class for the Master of Arts (MA) in History was resumed in Pokhara for the first time. In 2050 BS, the main gate of the campus was constructed in financial collaboration of the Pokhara Sub-Metropolitan City. 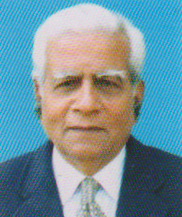 In 2051 BS, the Research Committee of the campus was formed under the coordination of the then Campus Chief Dr. Narayan Dutt Nepal and mini research works were resumed. On 17 Paush 2054 BS, the Office of Examinations of the Controller resumed its regional office in Pokhara within the premises of the campus. In 2054 BS, the campus was run in accordance with the Decentralization Act- 2055 of Tribhuvan University. On 21 Jestha 2056 BS, the then Vice-Chancellor Nabin Prakash Jung Shah inaugurated the newly constructed building of TU Teachers Association (PN Campus Unit) Building. On 26 Mangsir 2056 BS, some angry protestors set fire on the main administrative building, destroying its important documents. On 29 Paush 2056 BS, the then Campus Chief Dr. Birendra Singh Gurung inaugurated the newly constructed Administrative Staff Association Building. In 2058 BS, the destroyed administrative building by fire was reconstructed with support of the Free Student’s Union. In 2059 BS, the class for the Master of Arts (MA) in Sociology/Anthropology was introduced in Pokhara for the first time. On 18 Jestha 2059 BS, the Braille and Audio Corner for blinds was set up in the Western Regional Library. On 19 Magh 2059 BS, the mass arrest of students and the campus staff at 10 pm from the Girl’s and Boy’s Hostel by the local administration that included the then members of the Free Student’s Union Padam Giri, Dilip Neupane, Mohan Pathak, Khaga Nath Gairhe, Sharmila Adhikari, Dilu Gurung and 59 other students and an administrative staff Keshav Poudel. On 20 Chaitra 2059 BS, the then General Secretary of the Communist Party of Nepal (UML) Madhav Kumar Nepal inaugurated the Prithvi Narayan Campus Memorial Building. On 25 Chaitra 2059 BS, the then General Secretary of the Communist Party of Nepal (UML) Madhav Kumar Nepal inaugurated the Science Building constructed under the Higher Education Project – Phase I in financial collaboration of the World Bank. 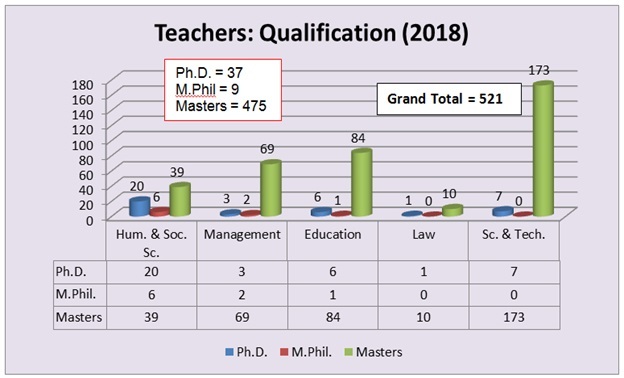 In 2060 BS, the class for the Master of Education (M.Ed) in Education Planning and Management was resumed for the first time. In Chaitra 2061 BS, the E-library was established in the Western Regional Library for the first time in the western region. 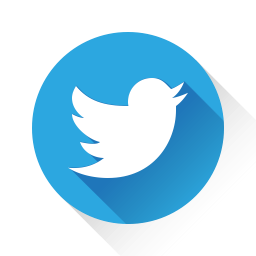 In Chaitra 2062 BS, the faculty members of the campus in order to support the democratic movement for the republic state renounced the curfew imposed by the government. In 2062 BS, the class for the Master of Education (M.Ed) in Health Science was resumed for the first time. In 2063 BS, the class for the Master of Education (M.Ed) in English was introduced in Pokhara for the first time. In 2063 BS, the class for Master of Education (M.Ed) in Curriculum was introduced in the campus for the first time. On 21 Paush 2063 BS, the Department of Sociology/ Anthropology organized a national seminar/ workshop on Sociology and Anthropology in Nepal: Past, Present and future. In 2063/64 BS, the Green Space Park established within the campus premises in financial collaboration of UNDP. In 2064 BS, the Master of Science (M.Sc) in Physics was introduced in the campus. In 2064 BS, the Master of Education (M.Ed) in Nepali was introduced in the campus. In 2064 BS, the Master of Arts (MA) in Population Studies was introduced in the campus. On 20 Paush 2064 BS, the then Vice-Chancellor of Tribhuvan University Prof. Dr. Madhav Prasad Sharma inaugurated the National Audio Library for the blind students. On 8 Magh 2065 BS, there was arson and vandalism in the Free Student’s Union office, including the arson of 8 motorbikes of students and campus staff, and 6 others vandalized. In 2065/66 BS, the highest turnout (16,691 students were enrolled) in different programmes in the history of the campus. In 2065 BS, an interaction programme was organized to discuss on transferring PN Campus as an autonomous campus. A member of National Planning Commission Prof. Maheshwor Man Shrestha, Registrar of Tribhuvan University Dr. Bhim Raj Adhikari were among those speaking at the programme. In Ashwin 2065 BS, the Korean Professor Kim laid the foundation stone for the Eco-Campus, Eco-City Project, which was expected to be constructed at the surrounding areas of Bhim Dunga (Bhim rock). On 4 Ashad 2066 BS, the Free Student’s Union (PN Campus Unit) organized an interaction programme for the establishment of Prithvi Narayan University. On 17 Bhadra 2066 BS, the Vice-Chancellor of Tribhuvan University Prof. Dr. Madhav Sharma laid the foundation stone for the Golden Jubilee Memorial Building. On 24-30 Chaitra 2066 BS, the Department of Nepali Education organized a national seminar/ workshop on research methodology. On 1 Shrawan 2067 BS, the campus administration started using the computer billing system for the first time. From 17 Bhadra 2066 BS to 17 Bhadra 2067 BS, the campus celebrated its Golden Jubilee throughout the year with various programmes. On 22 Ashwin 2067 BS, on the occasion of the Campus Golden Jubilee, the Honorable President Dr. Rambaran Yadav inaugurated the Golden Jubilee Pillar built within the campus premise. On 19 Shrawan 2070 BS, the Honorable Vice-President Parmananda Jha inaugurated the Clock Tower constructed by the George John Education Foundation, Pokhara. In 2068 BS, the BBA semester programme under the Faculty of Management introduced in the campus. In 2068 BS, the 5-Year BA.LL.B programme under the Faculty of Law was introduced in the campus. In 2069/70 BS, the M.Ed in Economics Education under the Faculty of Education was introduced in the campus. 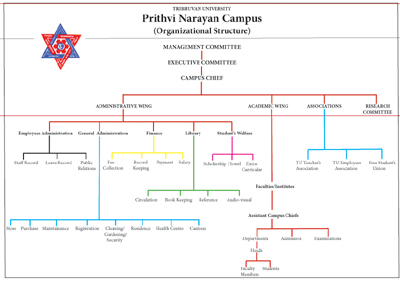 The organizational chart of PN Campus below identifies the positions within the campus’s governance structure.